The star-studded cast of “Disney’s A Christmas Carol” is led by multi-faceted actor Jim Carrey who portrays the lead character Ebenezer Scrooge at various ages old and young, as well as the ghosts of Christmas Past, Present and Christmas Yet to Come. Director Robert Zemeckis called on several gifted actors to join Jim Carrey. Gary Oldman stars as Scrooge’s beleaguered employee, Bob Cratchit, his young and ill son Tiny Tim, as well as the ghost of Joseph Marley, Scrooge’s deceased business partner. 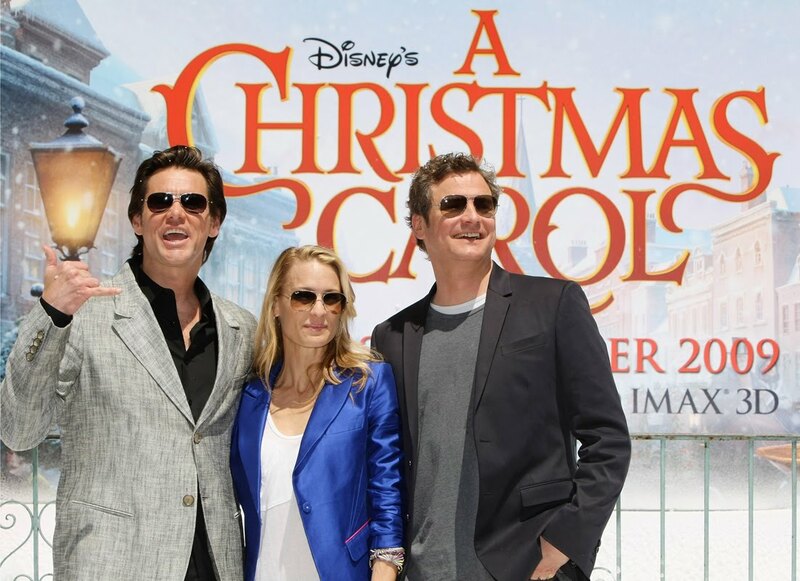 Colin Firth stars as Fred, Scrooge’s cheerful, good-hearted nephew, while Robin Wright Penn stars as Belle, who long ago stole Scrooge’s heart. “Gary Oldman is one of the most brilliant actors working today and to have him come and do these characters that require different aspects of personality and experience, it’s amazing to watch,” adds producer Jack Rapke. Classically trained British theater actor Colin Firth plays a central figure in the film -- the forever optimistic Fred, whose cheery disposition and opposing outlook on life is a stark contrast to that of his grumpy uncle Scrooge. Robin Wright Penn, who appeared in Zemeckis’ previous performance-capture film “Beowulf,” as well as the director’s acclaimed hit “Forrest Gump,” portrays Belle, the beautiful young woman whom Scrooge chooses not to pursue, turning his back on a life of love and light. Penn also plays Scrooge’s young sister Fan, for whom Scrooge had a great affection; he could never quite get over her untimely death. “Robin is part of our repertory company,” says Rapke. “There is not a female role that we don’t think of her first. She is so talented, and she is part of our creative family. Opening on Nov. 25 in regular theaters across the Philippines , as well as in Digital 3D cinemas and in IMAX 3D in SM Mall of Asia and SM North EDSA, “Disney’s A Christmas Carol” is distributed by Walt Disney Studios Motion Pictures International.